Kitchen Renew and More is a family owned and operated business for all your affordable kitchen renovation needs, serving the Vancouver Island area. The owners Tim & Sherry Healey are a committed team that have been married for 29 years, have 4 children, and have been residing on Vancouver Island for a total of 21 years. Kitchen Renew and More is a growing success story. From refacing cabinets, complete new kitchens, or renovations; customers can expect the highest quality products and workmanship at a very affordable price. We have no retail space so we can pass the savings along to you. 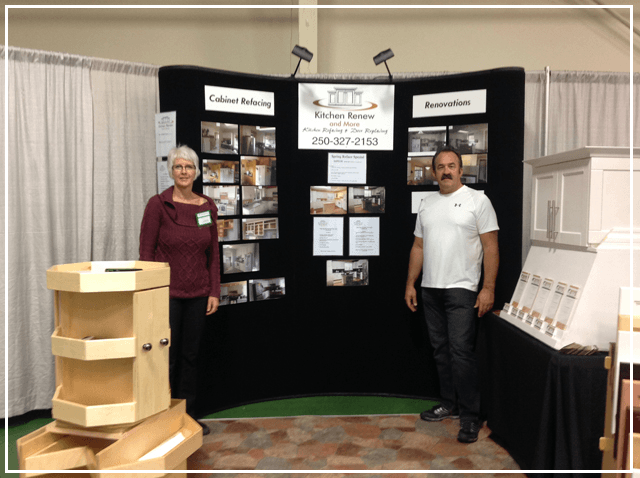 We are a mobile company that comes to your home with samples and ideas.